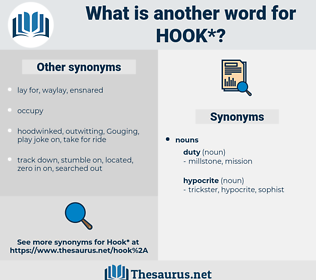 What is another word for hook? A piece of metal bent into a curve, so as to catch or hold anything: a snare: an instrument for cutting grain. liberate, straighten, unlock, lose, exclude, Unlatch, unfasten, loose, let go, detach, free, release, loosen. He hadn't even waited to see the effect of his hook. 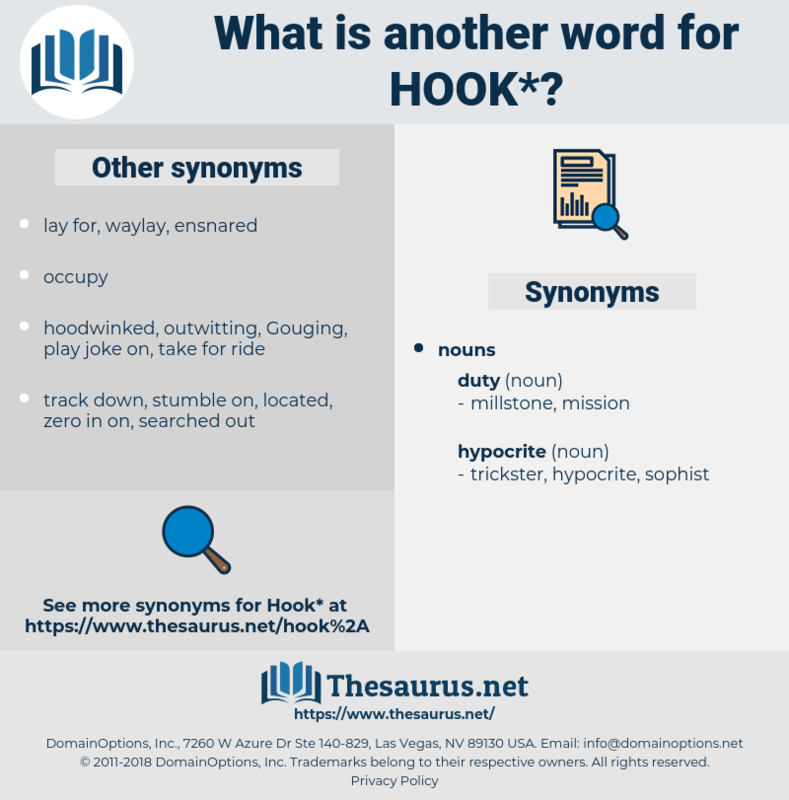 crotchet, meat hook, boat hook, gig, skyhook, gaff, fishhook, buttonhook, cup hook. biff, poke, lick, slug, punch, clout. grab, HIT, catch, fasten, take hold of, fix, secure.